You may spend a significant amount of time with your co-workers (the open-layout 9-to-5 life is all too real), but unless you're BFFs with them, finding the perfect gift for them can prove to be quite tricky once the holidays roll around. Which is where we come in, of course: We're always up for a gift-giving challenge, so we frantically scoured the internet in search of the perfect small gifts for co-workers, with the mission of choosing ones that they'll actually use (no small feat, mind you). Below, you'll find 22 perfect gift ideas for your esteemed colleagues, including a star-printed silk scarf, a carafe to keep at their desk, and our go-to affordable candle. Keep scrolling to shop the gifts, almost all of which are well under $100. 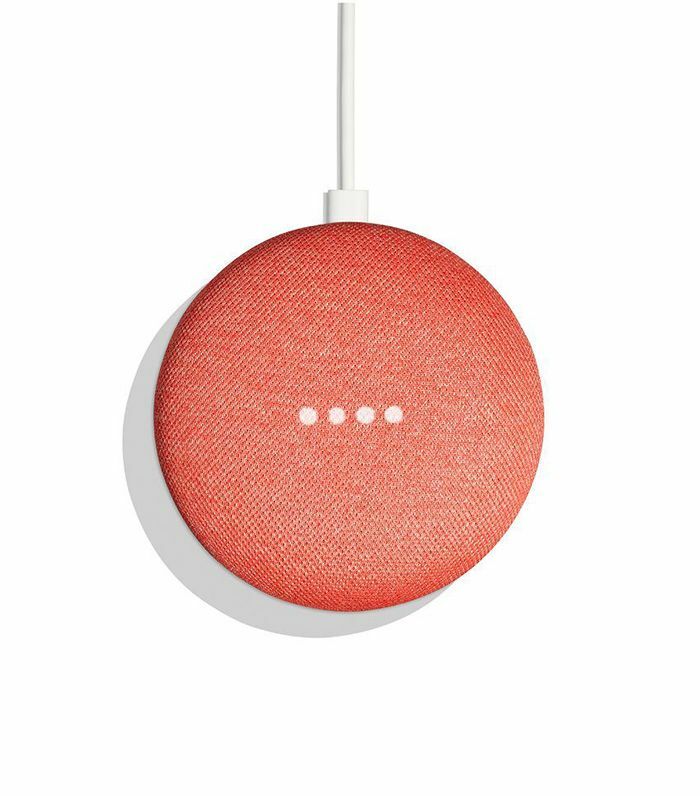 This new mini version of Google Home is both adorable and useful. For the co-worker who always strolls into the office wearing a pair of shades. Gift someone with this pretty plate, and let them do what they wish with it. Another wallet-friendly option for a fashion girl. This jewelry tray looks far more expensive than it is. The perfect gadget to prop your phone up at your desk. We can't believe the price on these cozy slippers either. The easiest way to personalize your keys. It's hard not to feel chic carrying this into a meeting. Marble coasters are even better when they bear an initial. Perfect for toting the day's essentials to the office. One of our favorite candles is a mere $34. Who wouldn't want a the latest buzzy Glossier release? A silk scarf is versatile and timeless. This would be a cool (and useful) addition to any desk. If they're into the zodiac, they'll love this stylish moon-phase calendar. They'll especially appreciate this if they're frequent travelers. Another option for a frequent flyer (or just a frequent napper). Do they love the great outdoors? If so, this gift is especially thoughtful. We'd definitely be happy if someone gifted us with this. For the champagne lover(s) in your office. Who doesn't love stylish versions of daily essentials? Next up, shop 25 gift ideas that make shopping for men so much easier. This post was published on an earlier date and has since been updated by Lauren Eggertsen.